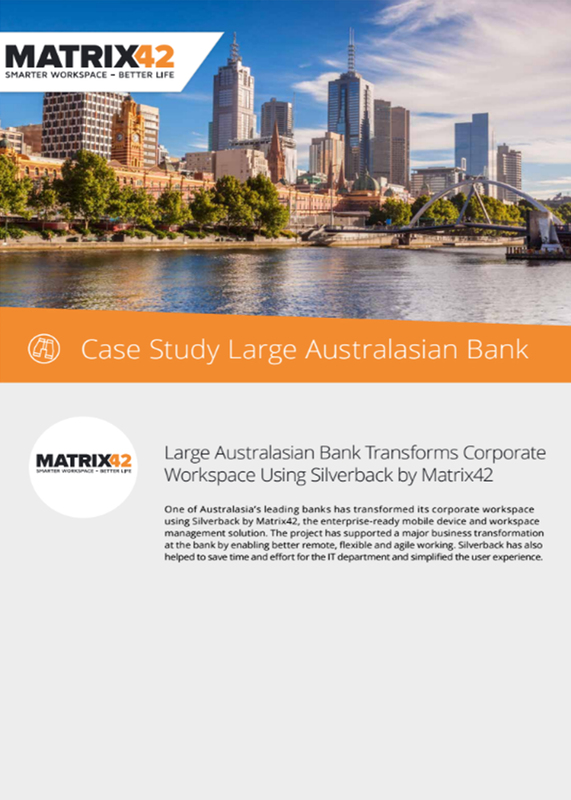 One of Australasia’s leading banks has transformed its corporate workspace using Silverback by Matrix42, the enterprise-ready mobile device and workspace management solution. The project has supported a major business transformation at the bank by enabling better remote, flexible and agile working. Silverback has also helped to save time and effort for the IT department and simplified the user experience.